QR codes (short for “Quick Response” codes) are not a recent invention, but thanks to camera-ready smartphones and cameras they are becoming a simple and effective way to interact with static sources, such as a printed advert or webpage. A QR code is a graphical interface (think of it as an image that contains a link) that augments print and Web material via encoded information that can be read by your smartphone. Scanner apps like Google Goggles (or any one of dozens of similar scanner apps) can decode a QR code using your device’s camera. The process for making QR codes is fairly straightforward–yes, you can make your own, or have a website make it for you. A good list of QR code generators can be found at this web site: http://2d-code.co.uk/qr-code-generators/. So, what makes QR codes generators different? It depends what you want out of the code and what you want the end-user to experience. Some generators have basic differences: some are paid and some are free; some generators do not provide analytics (which measure visits to your website) or provide limited tracking data; some generators redirect scanned codes to a landing page not of your design (which is bad form from an end-user experience); some generators are the fly-by-night operation type, or their reliability is suspect; and some offer limited encoding abilities, meaning that only some types of codes can be generated. QR codes are read by camera-ready devices in conjunction with a scanner or reader app. Provide a link somewhere near the code where users can download a QR code reader/scanner. QR codes should link to specific websites, contact information, or a section of a larger body of information. It should be a direct static-to-mobile transaction, taking the user directly to the link encoded in the QR code without re-directs. Codes should be accompanied by contextual information—let the person scanning the code know where the code will take them: a website, SMS, contact info, URL, YouTube link, etc. The code must be easy to scan: the bigger the code, the easier it is for the scanner to decipher the code. The smallest code should measure at least 1”x1”, but 2” x 2” is better. Leave at least a 1/8” of white space around the code. This makes it easier for the scanner application to visually cue in to the code. For encoding links, a website like Bit.ly or TinyURL should be used to shorten the URL. The shorter the link, the less crowded the code will look. QR codes can be colorful and have embedded images, but simple black and white codes are easier for devices to scan and are less error-prone. QR codes enable content to be accessed via a mobile device, so make the end destination a mobile-friendly page. To learn more, visit my library guide about QR codes, where I suggest scanner applications for varying operating systems (OS) and best practices: “What is a QR Code?” http://guides.boisestate.edu/qrcodes. 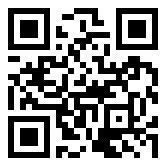 Or visit my presentation on QR codes at ILA this October.